Germany's EU commissioner Guenther Oettinger had a meeting last January with Volkswagen Group about the cheating scandal, despite the issue not being part of his portfolio. 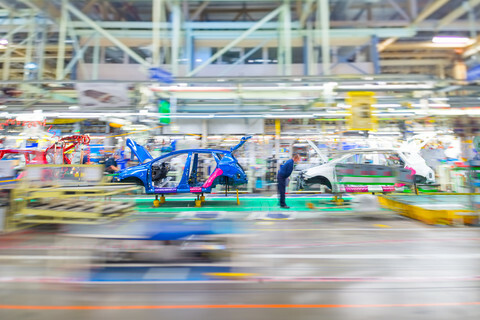 Neither Volkswagen's Brussels office nor Oettinger's spokeswoman responded to a request for a comment, but the meeting was listed on the Integrity Watch website. The site is an initiative by NGO Transparency International, but the data is supplied by the EU commission itself. According to the entry, Oettinger met someone from the German company on 25 January 2016. The topic, as flagged by the commission, was “diesel emissions”. It was one of 30 meetings that Volkswagen Group (VW) had with commissioners, their cabinets, and directors-general (the highest departmental civil servants) of the EU's executive branch since records began in December 2014 under Jean-Claude Juncker's leadership. 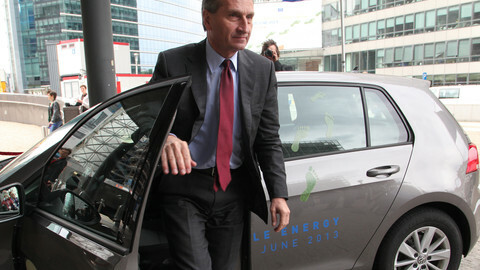 Oettinger met with Volkswagen Group four times. The other three appointments were about Oettinger's portfolio, the digital economy. 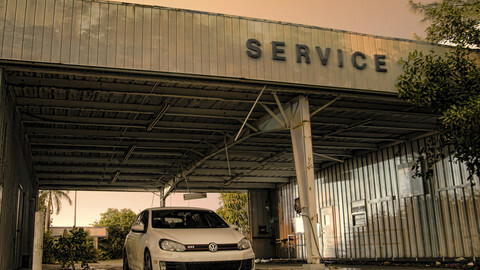 There were 12 meetings between high-level commission staff and VW before 18 September 2015, when the German company's widespread cheating on emissions tests became public. Most of the 18 meetings since then have been about the scandal. “Probably not because Volkswagen wanted to, but because the commission summoned them,” said Daniel Freund of Transparency International. 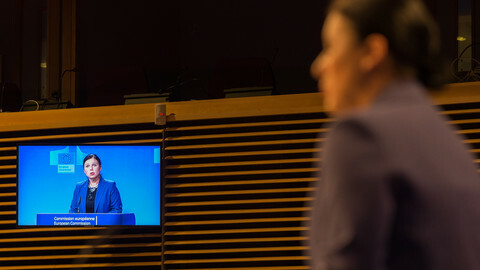 He told EUobserver that EU commissioners are “free to see whoever they want”, and noted that as members of the college of commissioners, they sometimes needed opinions on topics outside their dossier because they participate in all votes. Two days after Oettinger met VW, there was a debate in the weekly college meeting about a proposal for a reform of the way cars are approved for the European market. But according to the minutes, the German commissioner had left the meeting before the agenda point on cars was reached. It is not clear who requested the meeting between Oettinger and Volkswagen, but Freund wondered why Volkswagen would want to meet Oettinger, even if he is also German. “If I wanted to influence someone, I'd go to the commissioner in charge,” the transparency campaigner noted. 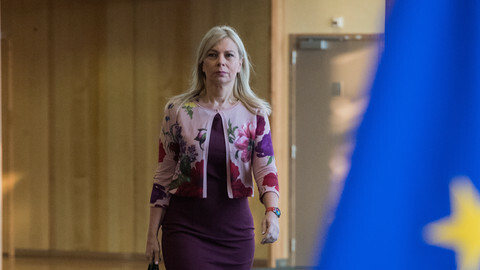 For the car industry, that would be Polish commissioner Elzbieta Bienkowska. She met with VW five times since the scandal broke, most recently on 30 June 2016. Those meetings were probably not too nice for VW, as Bienkowska wants the company to compensate Europeans for the cheating, which VW has so far refused to do. 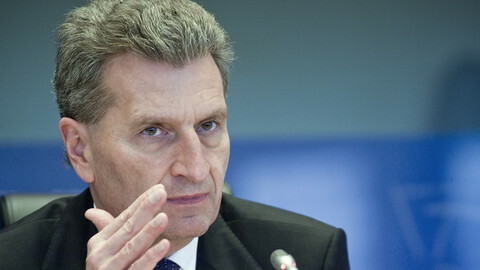 Oettinger is known for talking publicly about issues outside his portfolio, also when he was still commissioner for energy under the previous commission. It was in that position that in 2012 media reported Oettinger had sent a letter to then VW CEO Martin Winterkorn, reassuring him that new targets for car CO2 emissions were not as high as initially announced. 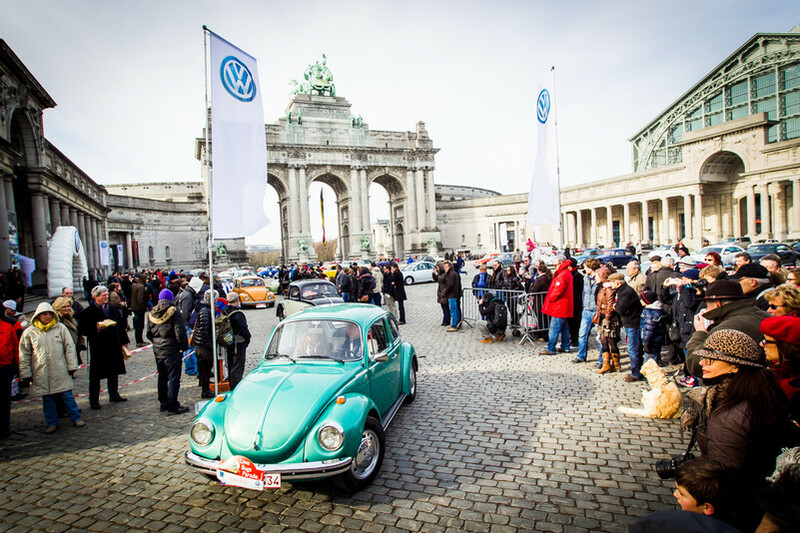 Volkswagen, like other car companies, has spent considerable amounts of money on lobbying in Brussels. According to VW's own entry into the transparency register, updated earlier this month, the company spent €2.8 million on lobbying in Brussels in 2015. The figure is somewhat lower than the amount it spent in 2014, €3.3 million, but considerably higher than the average sum it spent annually in the years 2010-2013, when lobby spending was around €1 million. EU commission trying to help consumers seek compensation from Volkswagen, whose emissions cheating appears to have breached two EU laws.